With all home ownership repair is needed for time to time. 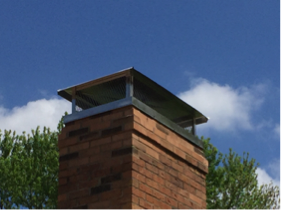 One area that is forgotten about is attention to the chimney. 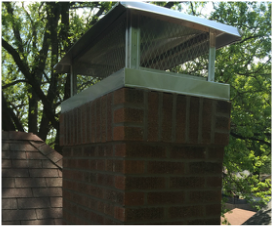 If your chimney is made of any type of masonry such as brick, block, or stone a thorough investigation of it should be done every year. 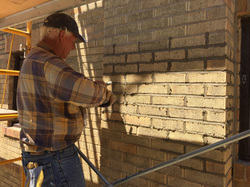 The inspection should include looking for spalding of any masonry surfaces in the brick and stone. 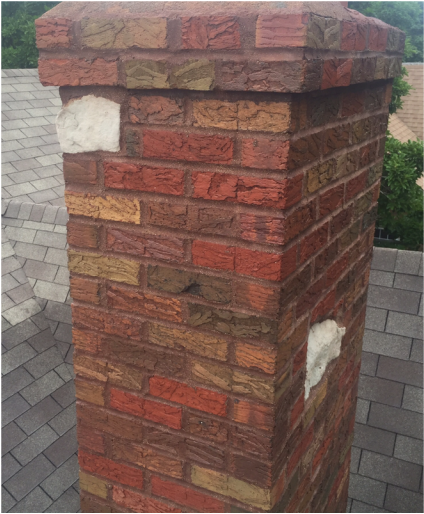 All masonry joints should be inspected to make sure that water damages has not occurred causing the masonry joints to soften or erode. Along with inspecting the masonry joints on stone or brick, attention is also needed to the top concrete crown. 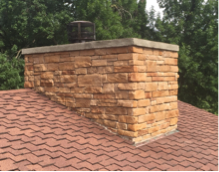 The crown is where a large percentage of the damage is done to a brick and stone chimney due to cracks in the surface. 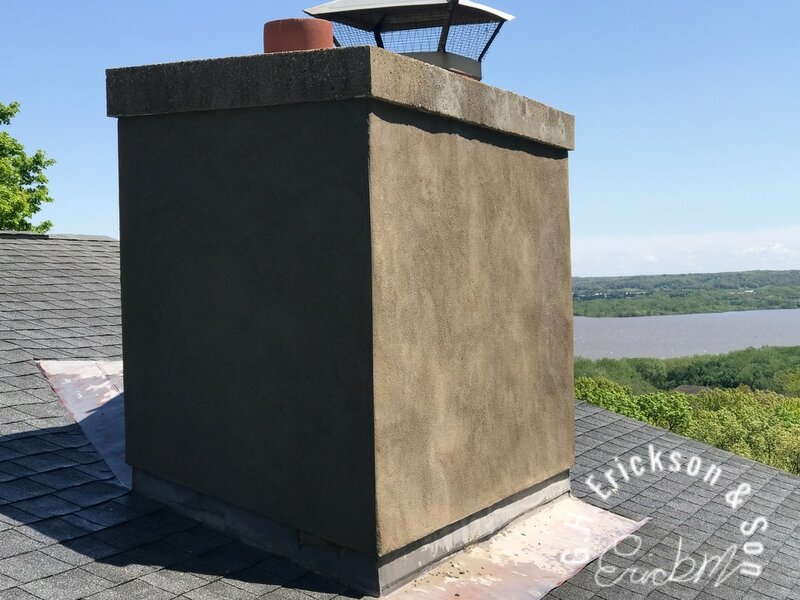 A homeowner can save considerable cost by repairing the open cracks that are on the top concrete crown along with high-quality waterproofing done every 3 to 5 years. 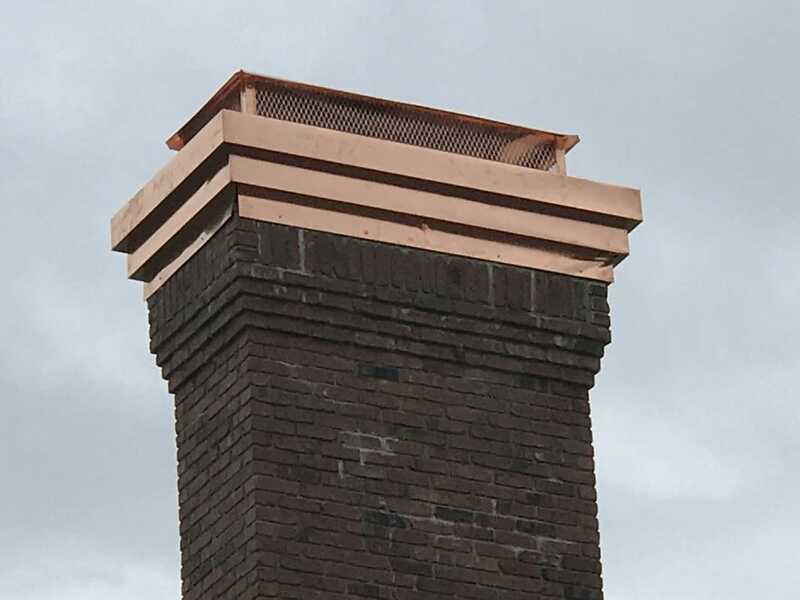 This can prove to be most effective to preventing brick and stone replacement on the chimney. To help understand why damage occurs, visit our YouTube channel for more information. Gerald & Jason Erickson will help in answering any questions you have. At G.H. 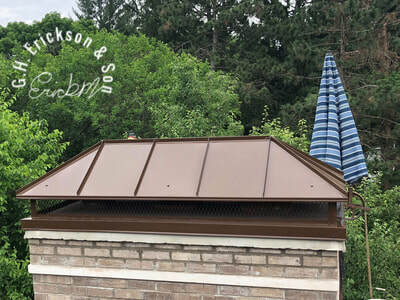 Erickson & Son in Peoria, IL. 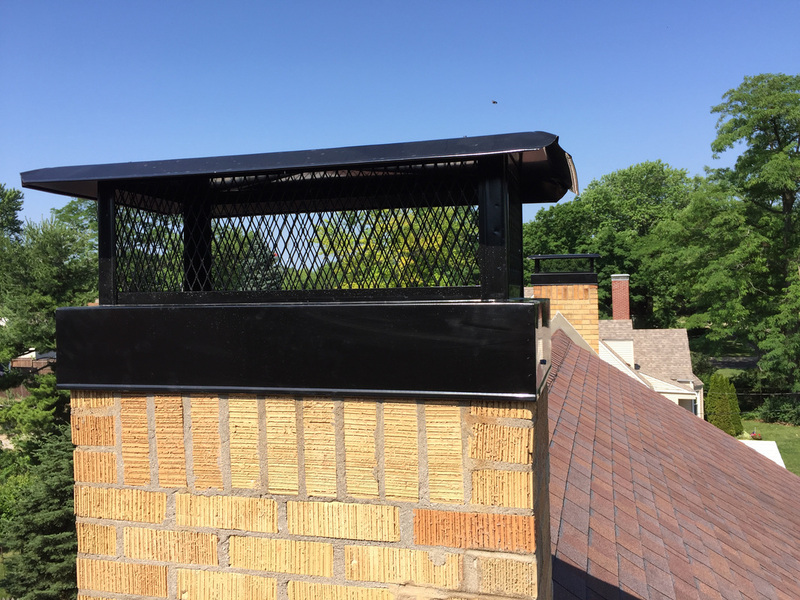 you can find a honest and reliable contractor to help with any brick or stone replacement that is needed on your chimney and to help prevent future damage and also to add to the beautification of your home. 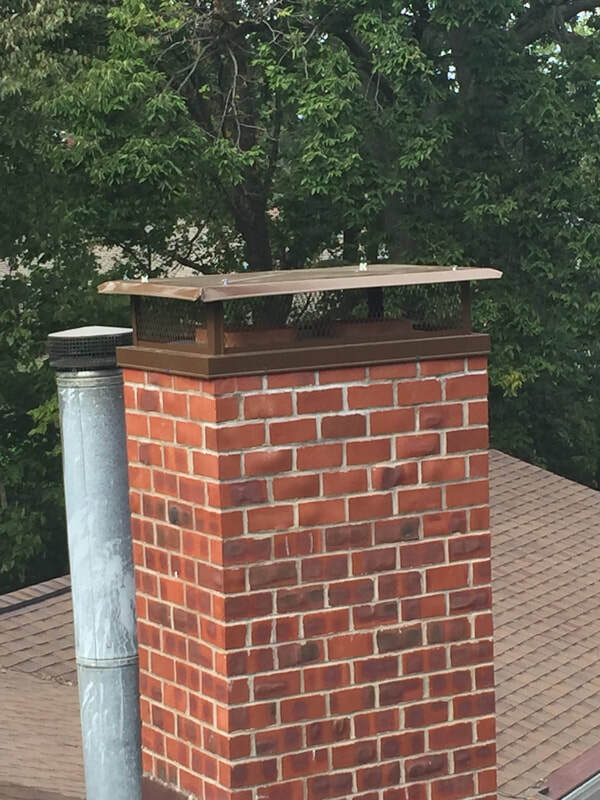 Chimney caps play a valuable roll in protecting your chimney from rain and snow, but also in keeping animals out. Applying cultured stone is a great way to add style and taste to any project! Plastering a chimney is a great way to repair it, with out building.